The purpose of congregate meal sites is to reduce hunger and food insecurity, and promote socialization and well-being. Congregate meals are primarily located at senior centers where we can receive a well-balanced meal that is prepared and served in a congregate setting. These sites also provide nutrition education and counseling as well as exercise programs, classes, outings, and many other opportunities for us to stay healthy and active. 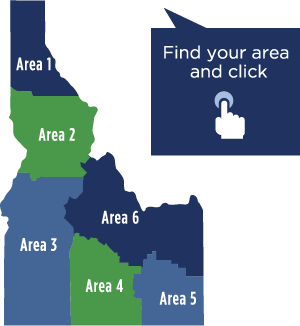 Additionally, we can use the area map below to find the nearest Area Agency on Aging. Also to the right, “Quick Tips” and “Resources” are available to better assist us with finding reliable information and supports.